India’s fastest Supercomputer- Can it offer better forecast? The name Pratyush has been doing its rounds in social media and newspapers and online news portals since the first week of January 2018. For those unaware, it is not the name of the next Bollywood heartthrob; it is an array of computers with superpowers. Pratyush is the fastest supercomputer ever to be unveiled by India. With this launch, our country too enters the proud league of supercomputing. This is no mean feat considering the vast brain drain that has been affecting India in the last two decades. This array of computers can process and deliver 6.8 petaflops of power. In layman’s terms petaflop is a term that indicates the processing speed of the computer. Pratyush can provide 6.8 thousand trillion (quadrillion) floating point operations per second (FLOPS). What this means is that this computer can comprehend very complex systems more accurately. Pratyush is the fourth fastest supercomputer in the world dedicated to climate research. 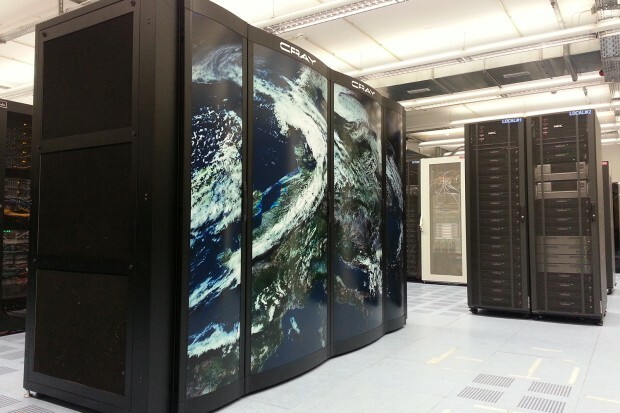 Yes, this supercomputer is the part of the system to improve weather forecasts in the country. Where are these systems installed? Developed at the cost of 400 crores, this supercomputer is installed in two government institutions. A large part of it, that is 4.0 petaflops of High-Performance Computing (HPC) is installed in the Indian Institute of Tropical Meteorology (IITM) in Pune. 2.8 petaflops of HPC is installed in The National Center for Medium-Range Weather Forecast in Noida. Prior to its installation, India’s peak capacity was 1.0 petaflop. How is this going to help forecasts? The prime purpose of building this HPC is to improve weather forecasts in the country and arrive at accurate predictions. Pratyush can offer accurate estimates and improve the forecasting trend in India by a leap. Apart from predicting the arrival of monsoons, this high-performance computing system will also predict other natural calamities like floods and tsunami. Given the bizarre rainy season in India, it is always difficult for farmers to plan the annual crop production. The installation of this HPC will offer farmers a huge relief with accurate forecasts of rainfall and other mishaps that result in crop damage. An interesting fact is that a dynamic model is used to make forecasts. As per this model, the weather is stimulated for a particular month, and a custom built model calculates how the climate will change in the consecutive months. Given the very high performance of this system, it would be possible to map different regions in India with a resolution of 3 kilometers. This means the weather predictions will vary from your house and the neighbourhood store or your friend’s house in the same town. How cool is that? In a recent live show, Nick Jonas seemed too excited in telling about how he fell in love with our very own PeeCee. Our Quantico lady, Priyanka was too present on the show.